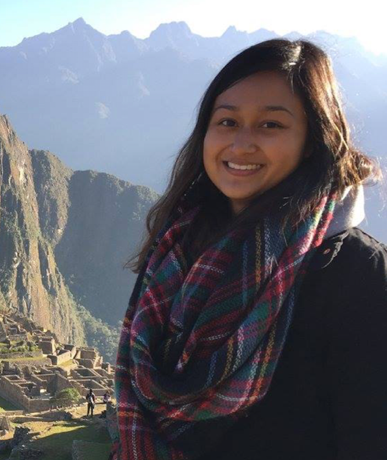 Diana Kumar is a recent graduate of the Health Systems program at Johns Hopkins Bloomberg School of Public Health’s Department of International Health. This past year she spent 10 months in Lima, Peru where she worked on a mixed-method study to evaluate medication use among patients with COPD. Along with chronic disease management, Diana is also interested in HIV/AIDS prevention and has many years of experience volunteering with refugees. Diana received her B.A. from Vanderbilt University in Spanish and Medicine, Health and Society, with a concentration in Global Health.